Cuvée Le Clos is a wine of incomparable finesse and delicacy, straightforward, fresh and silky, with fruity aromas. In just a few years, Le Clos Rougeard has become one of the most iconic and highly-reputed wines in the Loire, and indeed in France. Although this fame is recent, the vineyard is anything but. 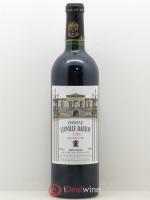 Jean-Louis and Bernard, the "Foucault brothers", are the eighth generation to work this family-owned property. The vineyards are located in Chacé, between Tours and Angers and cover 10 hectares of Saumur and Saumur Champigny appellations. The incomparable quality of the estate's wines is largely due to its extremely demanding viticultural standards dating back at least as far as the 1960s, with organic methods being practised even before the term had any official meaning. 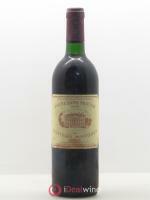 However, the estate has never sought official certification. Its vines remain entirely untouched by chemical products, making them the perfect expression of the full complexity of their terroir. 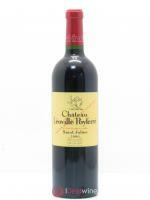 The wine is vinified with as little intervention work as possible, and élevage lasts for at least two years. The estate produces six cuvées, two of which are white. At the end of December 2015, Jean-Louis "Charly" Foucault died and the estate was bought by Bouygues. 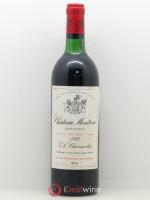 The wines produced before this acquisition are now collector's items. Individual years permitting, the estate produces three red wines, including two parcel-specific selections: Les Poyeux, a very full-bodied yet refined wine, with a beautiful dark ruby colour; and Bourg, a racy, dense wine, which undergoes 18-24 months' élevage in new oak barrels. As for whites, the Brezé cuvée is now one of the best white wines in the Loire Valley.